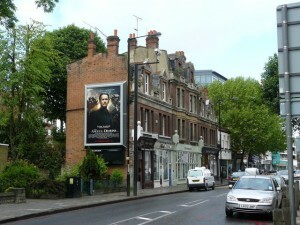 Moving Home or Office in Putney South West London ? Putney is a district in south-west London, England, located in the London Borough of Wandsworth . For centuries, Putney was a place where Londoners came for leisure, to enjoy the open spaces like Putney common and clean air. Londoners came to Putney to play games. one of the pleasantest of the London suburbs, as well as the most accessible. 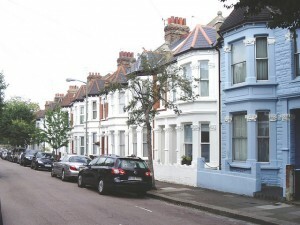 The immense increase in the number of houses in late years testifies to its popularity a number of fine homes lined Putney Hill and the north face of the heath, west of the Green Man. All had semi-circular carriageway entrances and exits. ; but there is still an almost unlimited extent of open ground which cannot be covered; and with wood and water, common and hill, there will always be an element of freshness and openness in Putney seldom to be obtained so near London. Putney is serviced by mainline trains to Waterloo Station from Putney Station and by London Underground from East Putney . The far west of Putney is also served by Barnes Station, a few hundred yards across the boundary in Barnes, while Putney Bridge tube station is across the river in Fulham. Services to Waterloo are every 5 to 10 minutes making it a popular location for professionals commuting into central London. Dee Dee Relocations is a genuine Family run Business with over 30 years experience in moving individuals, families and businesses To or From Putney South West London. If you are moving from or to any area in Putney or the South West London, Dee Dee Reocations can help you with all aspects of your removal to your new Home or Office. Dee Dee Relocations have an excellent local knowledge of the areas roads, estates and private residences in Putney :Upper Richmond Road, Putney Heath, Putney Hill, Roehampton Lane, Putney Village, Chartfield Road, Telegragh Road, Beaumount Road, Hazelwell Road, Dover house Road, West Leigh Avenue, Lytton Grove, Queens Ride, Lacy Road, Fairacres a and many more..